Several years ago I found this image floating around the web with no attribution, date, or description but was immediately drawn to it because of the stark imagery, the decay, and the fact that it was (once?) 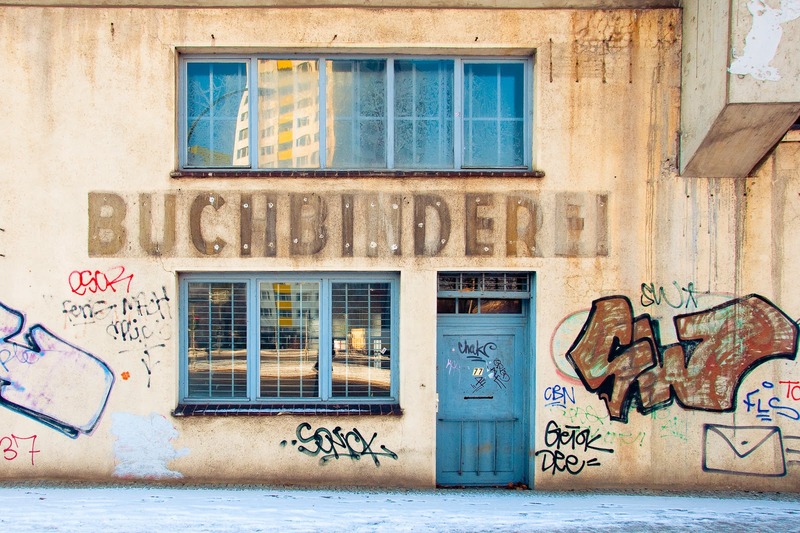 a bindery... Liked it so much I used it as my Facebook banner until today. 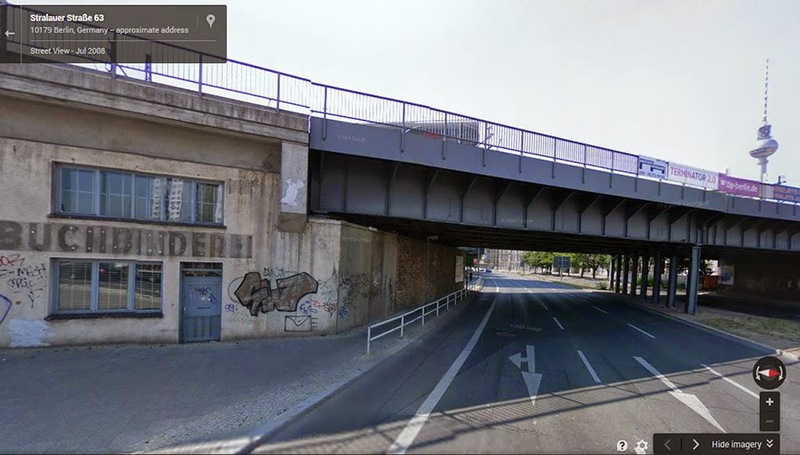 Flickr had a few more images of it such as this one that clearly show a railroad trestle above... A bit more searching brought me to Berlin, right near the iconic (for train geeks) Jannowitzbrücke and the Berlin Stadtbahn. 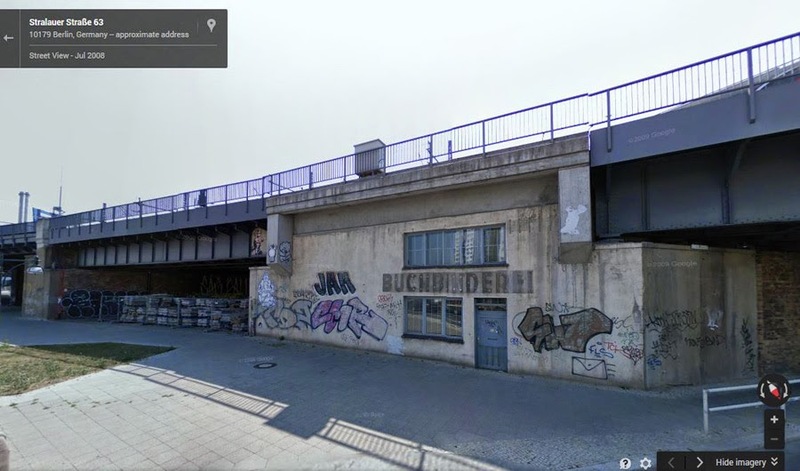 This is along the Spree in what was once East Berlin. A link to a quiz of the "where is this" sort provided a bit of history from a genealogy forum. 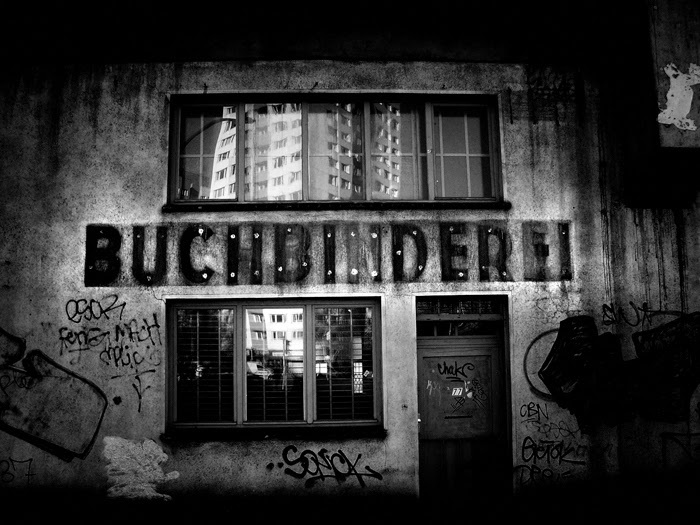 This indicated that this was once the Buchbinderei Scholz. Interesting story for those that can read German ending with success in tracking down a relation/ancestor. The TV tower at the Alexanderplatz is at right. Would love to have a bindery at that somewhat desolate location. Combine two passions in one location, books and trains.